Public recognition of your support which will appear at our website. Ten trip Palma bus card and public recognition of your support which will appear at our website. 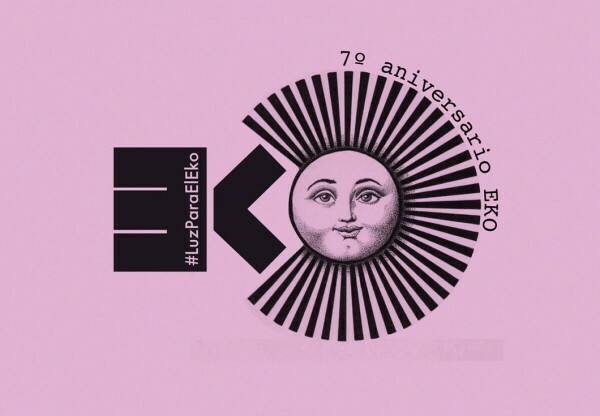 An Ecotxe t-shirt made from organic and fair trade cotton from Promoetic cooperative and public recognition of your support which will appear at our website. 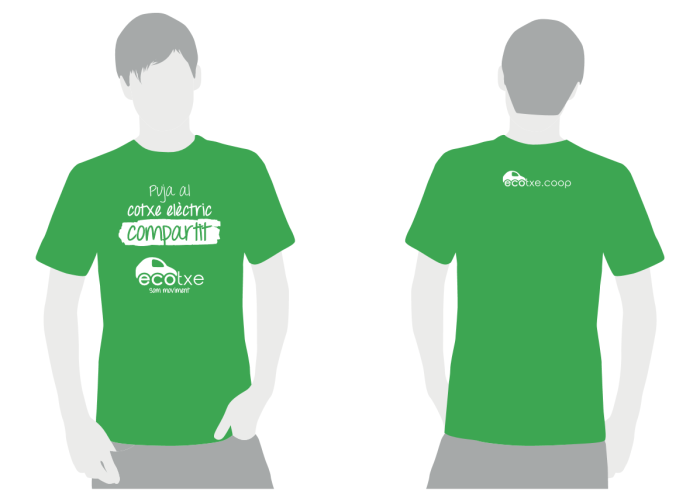 An Ecotxe t-shirt made from organic fair trade cotton by the Promoetic cooperative, a 10 trip Palma bus card and public recognition of your support which will appear at our website. You can use the car for one day and public recognition of your support which will appear at our website. You can use the electric car for two consecutive or alternate days and public recognition of your support which will appear at our website. You can use the electric car for five consecutive or alternate days and public recognition of your support which will appear at our website. You can use the electric car for nine consecutive or alternate days and public recognition of your support which will appear at our website. You can use the electric car for 18 consecutive or alternate days and public recognition of your support which will appear at our website. 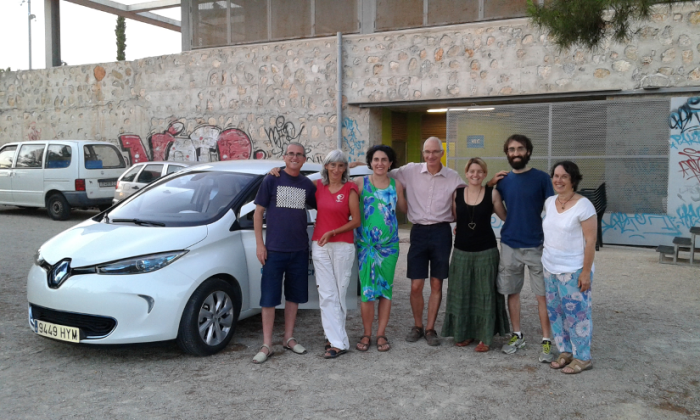 Contribute to Ecotxe's first electric car! 50% of the price of the electric car. Full price of the electric car. 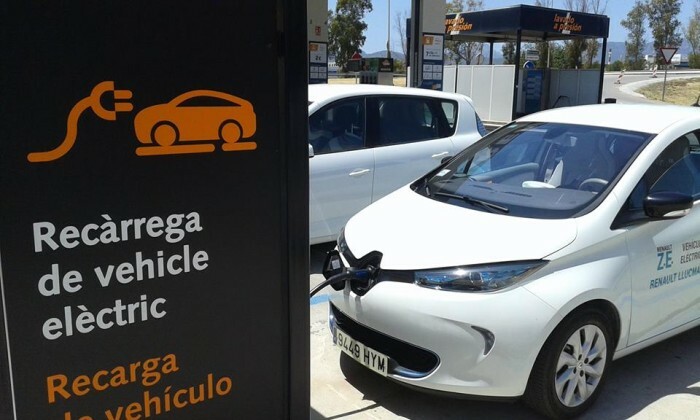 ECOTXE is Mallorca's brand new electric car sharing cooperative. Another form of sustainable and intermodal mobility so that people can use an electric vehicle and only pay for the time of use. Now we want to get going and need to finance our first vehicle to start rolling. With the goal of being able to access a vehicle without owning it and do this in an environmentally sustainable way, we have started what already exists in other cities in Europe and the world: “car sharing”. More specifically, with electric cars charged from renewable energy sources. 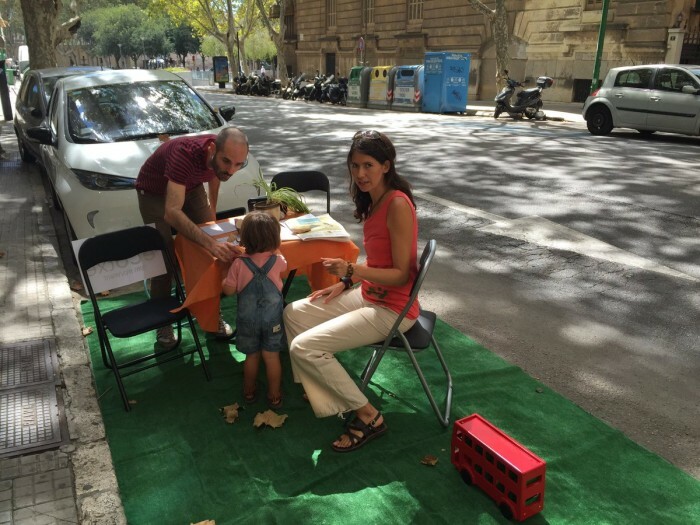 The project started during the European Mobility Week (September 2015) when a group of people aware of environmental issues and with diverse needs of mobility presented it in public. 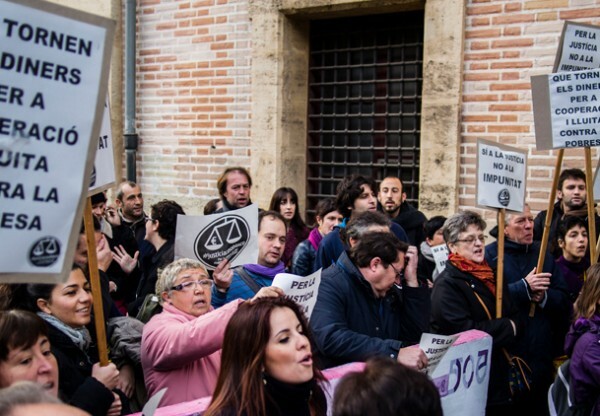 In February 2016 we constituted the non-profit consumer cooperative ECOTXE SOM MOVIMENT and have currently around 100 members. We want sustainable mobility, we focus on public transport, cycling mobility, the use of public space in favour of people and not parked cars, that does not pollute the air of cities and the planet and does not contaminate the streets with noise. In short, we want to be mobile and modify the way we move to make it more sustainable. 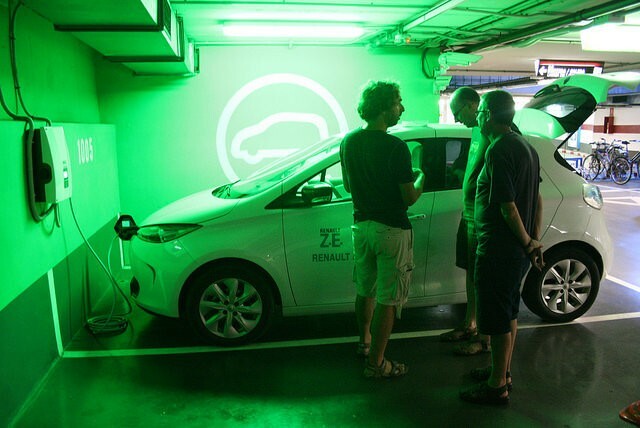 Help us to start ECOTXE, the electric and cooperative car sharing. Car sharing allows you to use a vehicle for short periods of time (minutes, hours or days) and only pay for the use (time and/or kilometres). It works basically by internet or mobile phone reservations, and allows the car to be used at the booked times, paying only for the use that has been made. All costs are already included in the rates (energy, technical maintenance, parking, insurance, etc.) and as users we will not have to worry about anything else. Access to the vehicles is easy: they are parked at different points in the city and users can book the one that is most convenient to them by location and schedule. This means users do not have to assume all the costs of owning a car; it can be combined with public transport, bicycle or on foot. We will use electric cars and want the energy that moves them to come from renewable energy sources through the cooperative “Som Energia”. We will thus also give a boost to renewable energies and the energy transition, leaving fossil fuels (oil, coal, gas, etc.). behind. 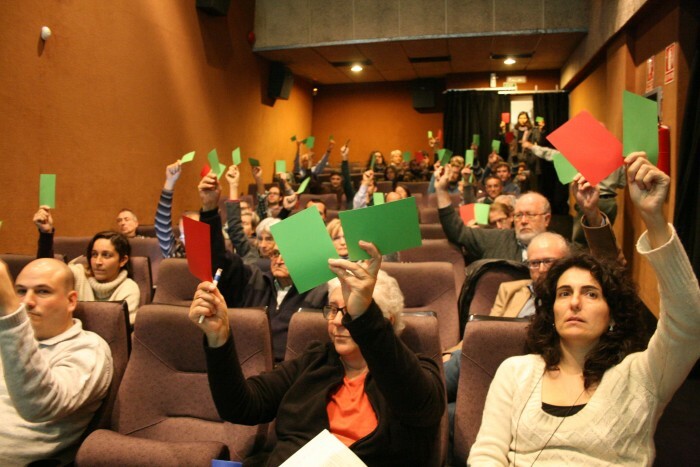 Almost one hundred people have decided to join the cooperative that promotes sustainable mobility, also focusing on public transport, cycling mobility, the use of public space in favour of people instead of parked cars, that does not pollute the air or contaminate the streets with noise. But we want many more people to get involved and rethink the need to have one or more vehicles of their own. do not wish to or cannot own a car individually. Mobility is inherent to people, what changes in time and cultures is how we do it. And we have decided to change it! We want to buy our first electric car to start operating the car sharing. Once it is up and running, we will be able to show society that car sharing exists and works well. We will gradually expand the number of cars to serve more people. This way we reduce the environmental impact (materials, energy, public space, etc.) linked to the use of the private car and also improve social redistribution of wealth. 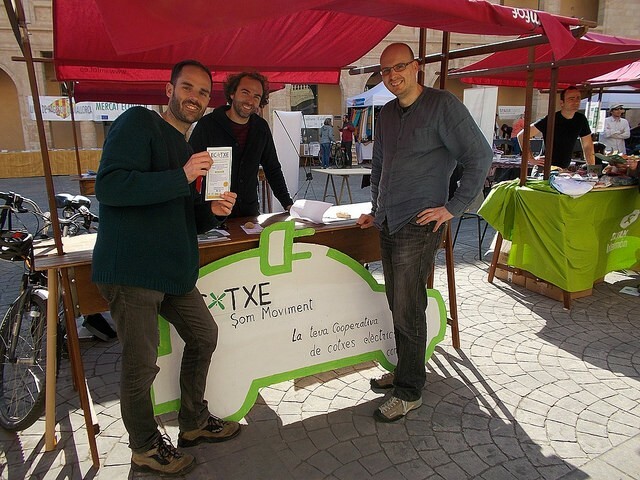 The promoters of the ECOTXE SOM MOVIMENT cooperative are linked to many different movements and initiatives for responsible consumption, fair trade, ethical finance, renewable energy cooperatives, consumer groups and other social movements: Fundació Deixalles, S'Altra Senalla, REAS Balears, Friends of the Earth Mallorca, Biciutat de Mallorca, etc. In addition, ECOTXE has the support of these and other Mallorcan, Spanish and European entities. Our team is very familiar with the associative and cooperative network in Mallorca working for sustainability and the social market. In view of the absence of social economy options in the field of mobility, we have taken a step forward to meet this need by being consistent with the principles of sustainability. The ECOTXE project won first prize in the Ethicum 2014 ethical business and social innovation projects competition in the category of entrepreneurship. The Ethicum awards are an initiative of Eticentre, the Rotary Club and the Department of Business Administration of the Balearic Islands University. It will allow everybody to learn from our experience in the constitution of a consumer cooperative in electric car sharing. The goal is that the model can be replicated in other places. The report will be available on our website. We are open to any consultation by other initiatives to set up another electric car sharing cooperative. According to studies of experiences in other cities in the world, each shared car means 10 or 15 private cars less. Many car sharing users either to sell their car or not to buy one. If we share the use of a car, the production of 10 to 15 cars will not be necessary. This means less extraction of raw materials for their production (steel, aluminium, plastics, etc.) and less energy and CO2 emissions. Car sharing will boost intermodality: more use of public transport, bicycles and walking. As a non-profit cooperative, our aim is sustainable and shared mobility for everyone. The object is the common good and the sharing of natural resources and social relations. Diffusion in social networks, own contacts and media. We would like to have our logo on the electric car.